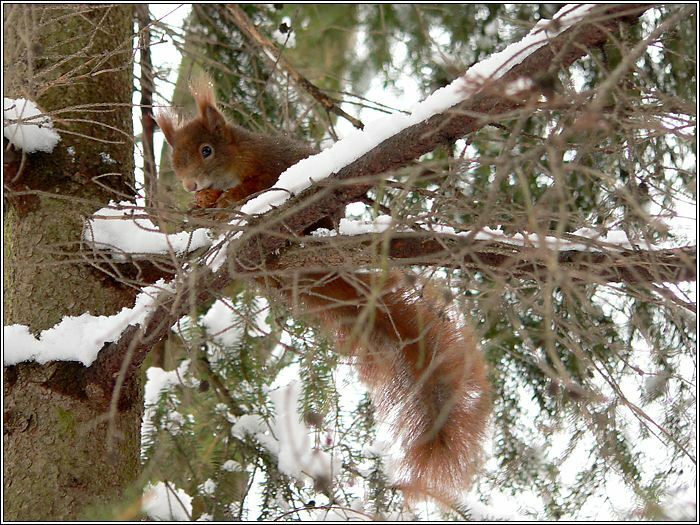 I met with this little fellow in the woodtoday. Nice hairstyle! I think I'll go with that same look for spring! I noticed there seems to be some of that red (dont know the exact term, but its the sameissue with moon photos) on the branches on #3 in the left side. Looks like he had a bad hair day. Like the shots a lot. Red fringe can appear as an effect of the stabilizer (I suppose), especially at (or near)full zoom andwhen the exposure time islong. Purple fringe (which you can see at the first picture) can appear when you have a hard contrast. It alsooccurs mostly at (or near) full zoom. 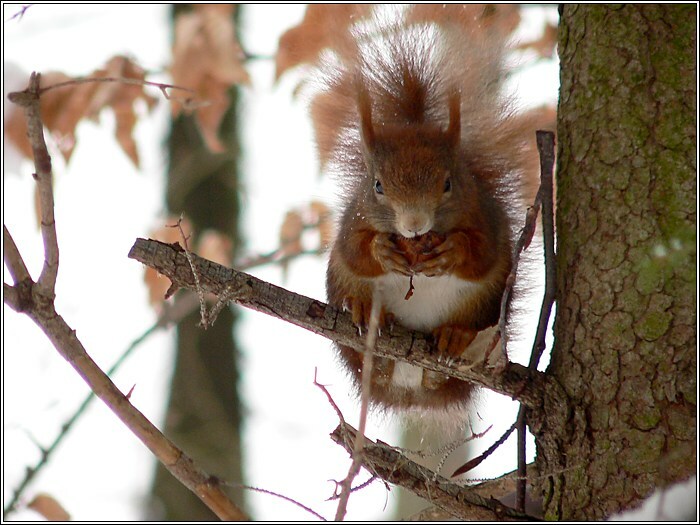 Another winning series of photos of a very unusual looking squirrel. That FZ3 really does a nice job of sharp capture. Of course, your good eye and steady hands has a lot to making these series of pictures happen. The third one looks like he caught you looking. He's a punker. I'd recognize that hair anywhere.:-)thekman. He recognized me before, but didn't seem to be muchafraid of me (maybe because I'm not scaryenough:-)). 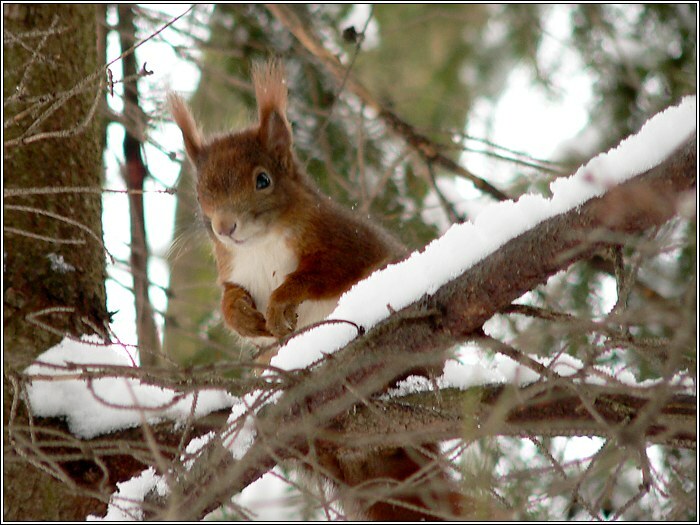 The squirrels here in Europe get such funny hair in the winter, so that's nothing unusual.